...well... I stayed up late last night to watch that Mars revelations by NASA and... fell sleep lol!... anyhow... 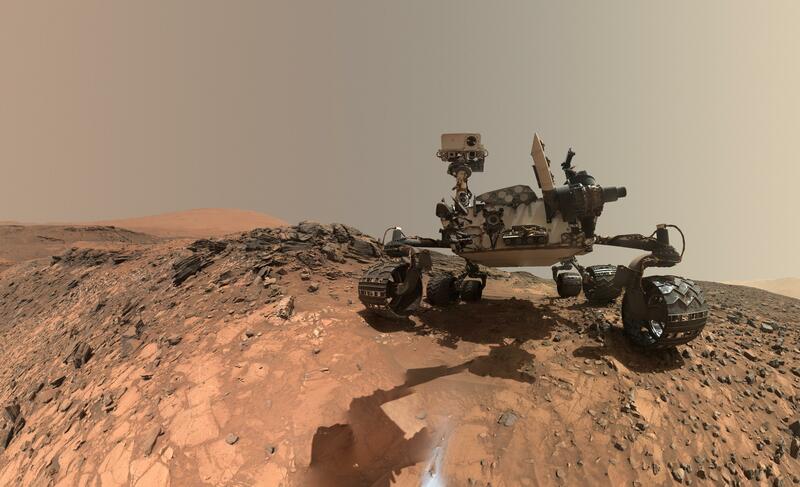 I tracked this down on the NASA website today and they think that there could be ancient ORGANIC material on the Planet Mars... anyhow... here is the link and the article directly from NASA itself... cheers. ...a kind of 'Spacey' story... I seriously doubt that I would ever fly in an aircraft that HAS NO WiNDOWS!... how claustrophobic would that be and... what if the technology broke down in mid flight?... not for me... lol!... I really urge you to watch the video on the link to see what I mean... on this website below... cheers. ...I've just found the video of that jet that's being designed by Ixion... check it out... cheers. ...speaking of strange aircraft designs... this video is remarkable... and in some parts quite silly to me but... some of the new seating in aircraft designs are quite ingenious in the second article... cheers. ...amazing eh Fuzz?... people like him back then had bigger balls than the prize Bulls at an Easter Show methinks!... lol!... thanks for posting it my friend... cheers. Speaking of the right stuff, this trailer dropped today. Real beauty from APOD today. ...wow!... that DOES look good my friend... thankyou for the heads up my friend... what a great man he was... cheers. ...what an incredible image oddjob... haha!... I visit the NASA website EVERY day of my life methinks and the 'image of the day' never fails to impress at times lol!... thanks for posting it my friend... cheers. Live from ISS. Spacewalk happening at some point. Ok there’s 6 and a half hours of this. So many cables running around the outside of the station. Jeez this is more complicated than working out all the cords at the back of my computer. Sorry @oddjob - this space live stream is more boring than Love Island. That says something.. But at least I will respect myself in the morning. I just have it on in the background. They’ve been trying to open this panel so they can unplug a cable for half an hour. It’s gripping drama.